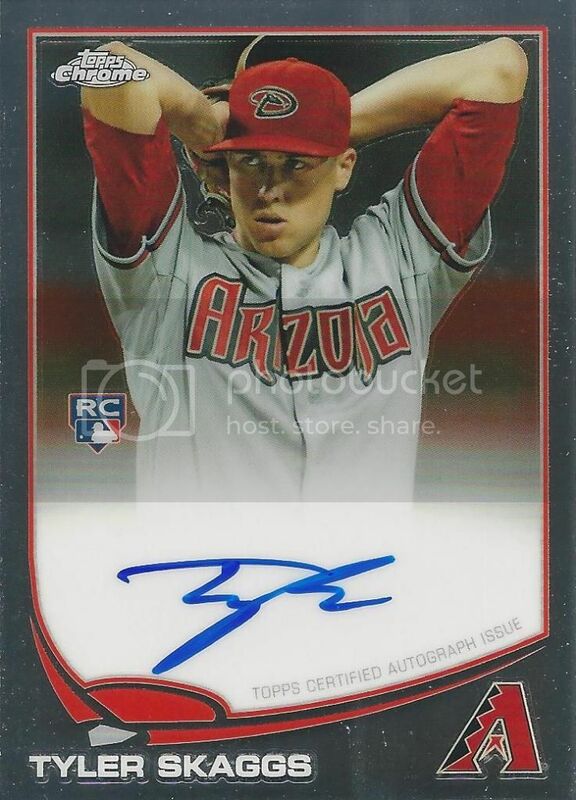 I picked up this Tyler Skaggs auto from the 2013 Topps Chrome set before he was traded to the Angels. Even though his time with Arizona is done, I hope Tyler has a great career. He should have a good chance at cracking the Angels rotation out of Spring Training. Hopefully he'll live up to his potential out in California. I hope he does well with the Angels as well! I actually really like the photo choice for this card.